Do call 911 if you are involved in an accident. Do seek medical treatment for injuries. If you are hurt in a serious accident, don’t be your own doctor. Do call an experienced attorney after an accident where there is injury or death. 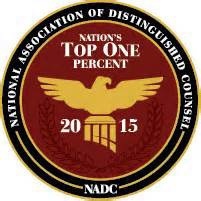 The sooner you have a qualified, experienced attorney working for you, the better. Evidence can disappear, witnesses can leave town and memories or recollections of events can change or fade. Do keep accurate records. Keep them yourself or have a family member help you. Keep medical records, police reports, names of witnesses and insurance companies, bills and photographs of the accident scene. Do keep a mobile phone handy when travelling in case you are hurt in an accident. Use it to call the police or 911 for medical attention, and then call a friend or family member for help. Do use your mobile phone to take photos or video of the accident. Don’t speak to the other driver or their insurance company until you have spoken with a qualified attorney. Don’t move if you have been injured in an accident. Wait for help to arrive. Once in the hands of medical personnel, your next call should be to a legal professional. Don’t sign anything without talking to an experienced lawyer. If you are hurt in a serious accident, you may be compelled to sign something. Signing certain documents may take away part of your compensation. Don’t be fooled by an insurance company. An experienced lawyer can help you sort through all processes. Don’t use your mobile phone to text or do anything that will distract you while driving. Don’t settle your case until you know your rights. Don’t assume the term “full coverage” means everything is covered. Always check to see if you have every type of insurance coverage. Do file a claim as soon as possible. You only have one year in Louisiana to file a claim for all personal injury cases. Don’t put your fate in the hands of the insurance company if you are injured. If you sign anything or answer any questions they have for you, they will make you pay for it. Don’t settle until all injuries have been fully treated and you have been released from all medical care. Do look into filing for Family Medical Leave Act time if you are injured on the job. An employer can replace any worker that is absent due to an injury. Jack Bailey Law Corporation can help you make the decision that is right for you in regards to filing a claim for workers’ compensation. Do seek out a lawyer who is experienced in workers’ compensation, as the cases are very complex in Louisiana, and many lawyers will not take them. Do identify witnesses to the accident (names, addresses and phone numbers). Do report the accident as soon as possible to your supervisor. Be sure an accident report is filled out and you get a copy. List all injuries and problems to your supervisor so they can be placed in the accident report. Do seek medical assistance immediately if pain persists or is serious. (Workers’ Compensation benefits include payment of all medical costs resulting from the injury.) Avoid being referred to a “company doctor” if possible and try to go to a doctor of your own choice who is familiar with you. If you have a head or spinal injury, see an orthopedic or neurological specialist. Determine as early as possible if you will have to miss work and for how long. Determine what the “long-term prognosis” will be in terms of surgery or disability. Do obtain all available information on your employer’s workers’ compensation insurer. Contact them as early as possible to start benefits if you will be out of work for more than one week. Do request (in writing) that workers’ compensation benefits be started as of the eighth day, if you are unable to work for seven days or more. Do file Claim Form LDOL-WC-1008 “Claim for Compensation” on the eighth day after the accident if benefits have not begun. Send copies of all medical bills, accident reports, medical reports or other documents you may have on the accident with your Form 1008 to Office of Workers’ Compensation Administration, P.O. 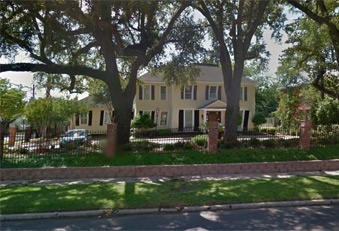 Box 94040, Baton Rouge, Louisiana 70804-9040. If you have questions on how to fill out the forms, or anything else, you may call: 1-225-342-7555 or Toll Free: 1-800-824-4592. Do consult an attorney immediately if the compensation insurance will not begin making payments on your medical bills and weekly benefits of two-thirds of your gross weekly wage. Be sure the attorney is a workers’ compensation specialist. Ask him about his experience! Write down all questions you may have about your work accident and compensation laws prior to the interview. 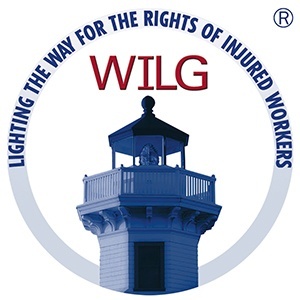 Learn about your rights under workers’ compensation laws. Ask what fees and expenses you will be required to pay. Ask what the attorney feels he can do to help you and how he evaluates your chances. Copies of all medical bills caused by the accident, paid and unpaid. A list of which bills have been paid and which have not been paid. A list of mileage to and from all health care visits (to be reimbursed to you at 21 cents per mile). Copies of all doctors’ narrative reports from treating physicians. Copies of all admit and emergency room charts at all hospitals that have treated you. Copies of all radiology reports on tests given to you, such as x-rays, CT scans, bone scans, MRI or Myelogram. Copies of any statements given by you to your employer or the insurance company. Copies of any witness statements obtained from anyone on how the accident occurred. Copies of your wage records (or check stubs) from the last four full weeks you worked prior to the accident. Copies of any correspondence between the insurance company and the Workers’ Compensation Commission. An explanation from the insurance company on how it arrived at your workers’ compensation rate and what it believes to be your average weekly gross wage. Do be sure you are being paid two-thirds of your average weekly wage before any deduction (gross wage). Don’t be afraid to seek workers’ compensation. Any injury or illness will be covered by workers’compensation if it is work related. Don’t try to move if you are hurt. Call for help to get up and for assistance. Insist on an ambulance and immediate medical care if the injury causes substantial pain or appears serious. Don’t hesitate to interview several attorneys and compare their responses. Don’t sign any releases until you are fully prepared to settle your case. If you do so, your medical condition should have completely stabilized and you should have reached maximum medical improvement. Don’t discuss your case with any unnecessary parties. Your spouse, your doctor and your attorney are the only necessary parties. Insurance adjusters or anyone else who want a recorded statement are not necessary, and you should not give such a statement to anyone or post any information on the internet, Facebook etc. Don’t be talked into not reporting the accident (not even to preserve “safety records”). Don’t give recorded statements to unnecessary parties. Don’t settle your case unless you have medically stabilized. Don’t settle your case unless you have spoken to an attorney and have had your questions answered and your rights explained to you. Don’t do anything just because they say you “have to”. Do choose an attorney that will focus on all the details of your case so that you can focus on recovery. Do find a lawyer that will fight for a full, fair settlement. Do choose a lawyer who cares about you and your family. Do get a lawyer that expects as much as you do. Do get an attorney that treats you as a real person. Choosing the right lawyer is critical; do your due diligence and ask the right questions. Do ask questions like, have you ever worked a similar case? How did the case turn out? How long have you been practicing in the area? Do you have offices in multiple cities? Which attorney will really be handling my case? Do ask for references. Don’t make a decision until you have looked the lawyer in the eye and talked to him or her. The lawyer should understand you and your situation, and have the experience, background and track record that gives you peace of mind. Don’t choose a lawyer because of an advertisement or others’ opinions. Your lawyer is your partner and should take time to educate you and understand your situation. Make sure you trust and feel confident in your lawyer. Don’t let others’ opinions stop you from a calling a lawyer. Don’t settle cheaply.